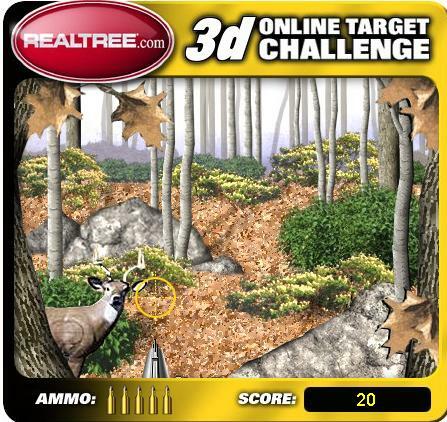 You'll need lighting fast reflexes and a quick trigger to knock down these targets, but be careful of hunters wearing orange or you'll loose more than points. Hunting targets include deers, squirrels, and black bears! To play the game move mouse to aim, click to shoot. Miss 5 targets and your done. Credit: By Forgemedia for realtree.com.